La serie Akt dedicata a inediti, materiali d'archivio e rarità di Christian Vander e Magma si arricchisce di un nuovo capitolo: si tratta della documentazione del concerto tenuto a Bourges nell'aprile 1979, quando con Vander erano Klaus Blasquiz, Stella Vander, Maria Popkiewicz, Lisa Deluxe, Jean-Luc Chevalier, André Herve, Michel Herve e René "Stündëhr" Garber. Una registrazione aspra e tecnicamente imperfetta, cui i musicisti assegnano tuttavia un alto valore storico: "AKT 15 is the latest and long awaited document of the AKT series. 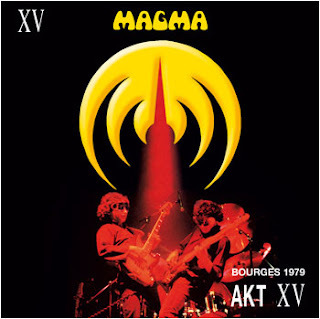 While chosen for their rich and original musical content, rather than strictly technical qualities per se, these archives are a testament to the astounding talent of cult band Magma during its soon-to-be 40 years of career. This particular concert, recorded in Bourges in 1979, stands out as a moment of grace, partly due to its extreme tension and the risks taken collectively, which the audience still reminisces of to this day. And if all the musicians offer, as usual, their energy ever so in synch with their worldly reputation, AKT 15 holds a special place in the band's history, documenting for the first time ever this particular period. All earthly fans and more recent amateurs will, without a doubt, take great pleasure in (re)discovering that exceptional performance." Louis Philippe inaugura oggi La Vie d'Artiste, blog dedicato a spunti, riflessioni, aneddoti e ritratti d'autore - si comincia con Ravel, Stravinskij e Lorin Maazel - scritti a margine della sua attività di corrispondente da Londra per Le Figaro. Vi scrive in francese, firmandosi con il suo vero nome, Philippe Auclair. "Je mène une double vie de journaliste et de musicien depuis une vingtaine d’années dans ma ville adoptive, Londres. 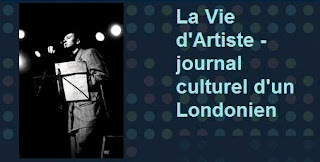 L’idée de ce ‘journal culturel’ est née du désir de parler des artistes dont je croise le chemin grâce à mon travail de correspondant ‘arts et culture’ du Figaro-Magazine au Royaume-Uni, mais qui, faute de place, ou parce que leur profil est trop ‘pointu’ pour un lectorat de masse, passent à travers les mailles de ce filet-là. 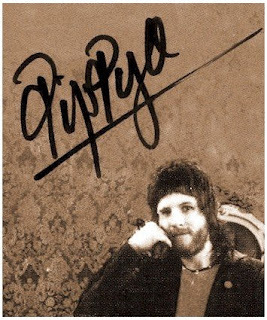 Ceux et celles d’entres vous qui seraient intrigués par ma carrière musicale peuvent me rendre visite sur mon site officiel (http://www.louisphilippe.co.uk). Que trouverez-vous ici? Un récit de voyage. Ses destinations pourront être une salle de concert, une galerie, un libraire, un stade de football, un coin de rue de ma ville. La musique y tiendra la première place, naturellement. Mon seul critère est celui d’ affinités personnelles que j’aimerais partager, à commencer par celle qui me lie à ma capitale. Bienvenue à Londres." Due anni fa ci lasciava Pip Pyle. Ciao! 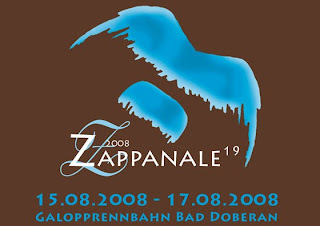 Jeff Berlin, Ed Mann, Captain Sensible, Zappatika, RagacatZZ, The Wrong Object, Dr Dot & more to come. All have at least one thing in common. They are all coming together on a FANTASTIC new compilation CD to help Jimmy Carl Black. 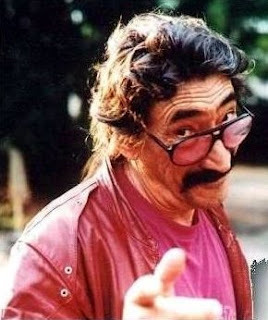 Jimmy Carl Black is the original drummer and one of the founder members of The Mothers Of Invention. Jimmy has served the music industry well over five decades. He has given his life to the music industry, pleasure to millions of people over the years and now Jimmy needs help. It's time to give a bit back to jimmy and in return you will get a CD containing unique music from all of these great artists and more. This CD is not available anywhere else. You can buy it soon from Leaping Cat Records or Inkanish Records and the money that you pay for it is ALL going directly to Jimmy Carl Black, if anyone else offers to sell you it please don't buy it. Leaping Cat Records, Inkanish Records & Jerry Ford say a big thank you now to all of the artists on the CD for helping a Brother. If you want to thank them yourselves please visit their Myspace pages and leave them a nice comment. The first edition of the France R.I.O. Festival, held in Carmaux in 2007, confirmed the enthusiasm of a large audience, coming from all over the world to attend this event, that some have labelled “historic”. To keep away from a certain “routine” that could harm the integrity of our musical choices and to secure firm financial and artistic partnerships, we decided that the next instalment of the France R.I.O. would take place in 2009. So, the R.I.O. now becomes a biennial event. As the preparation of such an event is time-consuming, this frequency should provide us with the distance needed to conceive a programme as demanding and innovative as the first edition. 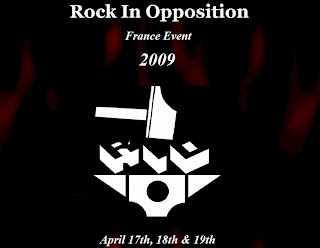 Once again, the Rock In Opposition 2009 will be an event of international quality. It will be held in the same musical venue that proved to be the perfect setting for listeners to enjoy really innovative music in optimal conditions: the Maison de la Musique de Cap Découverte. During the Festival, specific locations will be dedicated to record labels, press representatives or any relevant “movement” showing some fighting spirit in the field of contemporary musical expression. Specific venues will also be provided to facilitate dialogue between the musicians and the audience. Additional activities, such as artist residences, workshops, conferences, exhibitions and installations will also be organised within the framework of the festival. The programme will be finalised by the end of September 2008 but the “Artists” section of the website http://www.rocktime.org/rio will be regularly updated in order to keep you informed of “work in progress”. A new, revolutionary album which is different every time you play it has been created by Tim Hodgkinson, Ken Hyder and Gendos Chamzyryn. At a time when the music industry is making a dramatic shift from CDs to downloads, K-Space's Infinity presents a different option. First of all, this disk plays on a computer, not a CD player. And this is a whole piece of work - you can't download tracks from it. In fact the disk contains software that performs the 'pieces' on the album differently every time you play them. These performances are in no way random and this has nothing to do with shuffle-culture. The software is specially programmed to make choices from the available material. 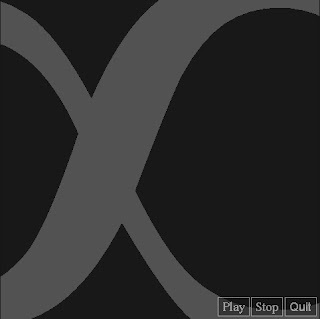 Furthermore you can't pause or fast-forward this album: the music is indivisible, and you can only turn it on or turn it off. In fact everything that happens is there to create a special listening experience... The sensation for the listener is of being in one space which encompasses different locations and different moments in time. And each space is different each time the piece is played. On the same disc, there's also 4 videos of the band, and a full-color photo album. 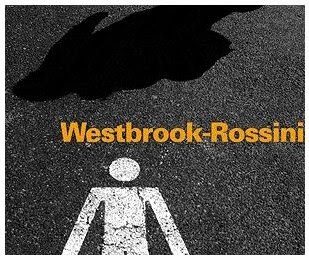 Chris May recensisce un altro grande classico di Mike Westbrook, Westbrook-Rossini, di fresca ristampa per Hat Hut Records. Si tratta della versione registrata negli studi della Radio DRS Zurich l'11 e 12 novembre 1986, e precedentemente uscita su singolo cd nel 1990, sempre per Hat Hut. Con Mike e Kate Westbrook erano Lindsay Cooper, Peter Whyman, Paul Nieman, Andy Grappy e Peter Fairclough. Since his move in the early 1990s from free jazz saxophonist to studio based electronics composer, Archer has produced a series of highly acclaimed CDs which combine electronics-based structures with written and improvised parts for brass, woodwind, strings and voices. Elements from jazz, free improvisation, contemporary classical music, electronica, and cutting edge rock music are all present within his work. 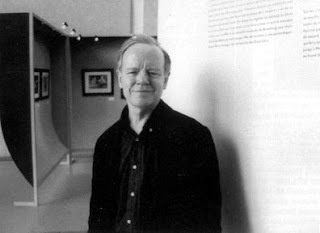 Archer's concerts, in which he plays woodwind plus electronics, feature a mix of improvised and composed elements, and will typically use raw material from various studio recordings recombined and reprocessed in real time using laptop technology. 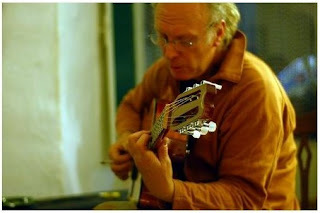 Archer acknowledges groups such as Faust, Henry Cow, Soft Machine and Magma as being highly influential in his work alongside Cage, Stockhausen, Feldman, and of course the school of European free improvisation. This combination of sources makes him a unique inhabitant of the school of English maverick composers. 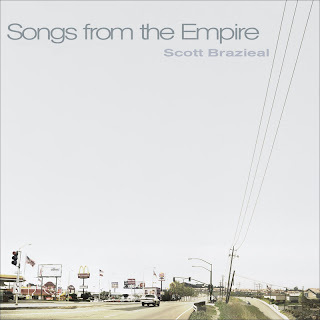 Scott Brazieal, tastierista e compositore di Portland in passato alla guida di Cartoon e PFS (ma spesso in concerto anche con Thinking Plague e 5uu's, con questi ultimi anche nel loro unico tour in Italia nel 1995, per il Circ.a), pubblica l'album Songs from the Empire, suo primo lavoro solista composto e realizzato negli scorsi quattro-cinque anni. Se ne legge in http://www.virb.com/songsfromtheempire e lo si ottiene gratuitamente in formato mp3 in http://tinyurl.com/6l3glj. Scrive l'autore: "Songs from the Empire has been a labor of love--and frustration--for several years now. And in the end, the baby is finally being birthed and delivered here. My deepest appreciation goes out to those who contributed and helped me along the way as well as for those others who encouraged and "kept on me" to finish it. Again, thank you. 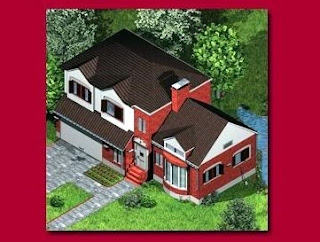 The songs you can listen to here were conceived and composed in 2003-04; recorded/engineered with Tom Hood in Portland & the Chehalem Valley over the past three years, and eventually mixed and mastered in 2007-08 in Portland and Westfir, Oregon. [...] Finally, I would be remiss if I didn't try to emphasize the fact that this album is intended to be listened to in its' entirety, as one continuous piece... it's my damn "classical" pedagogy y'know... sigh... although, not to intimate that it doesn't work within our current cultural paradigm of single-song downloading..."
Una recente conversazione con Brazieal si legge in ProgArchives. 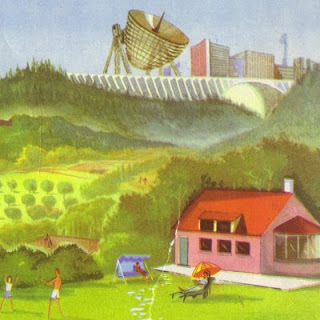 Ogni sabato da inizio luglio fino a inizio settembre l'emittente newyorkese WPS1 Art Radio, emanazione del P.S.1 Contemporary Art Center, produce e trasmette dal vivo concerti di vario genere - ad esempio Nublu Orchestra condotta da Butch Morris, So Percussion con musiche di Steve Reich, Ikue Mori, Tony Conrad, James Chance and The Contortions - in una serie chiamata Warm Up. Le registrazioni rimangono per qualche tempo negli archivi, dove si trova parecchio altro materiale di interesse, musicale e non. 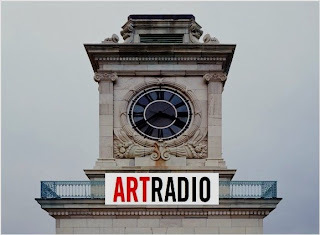 Art Radio WPS1.org is the Internet radio station of P.S.1 Contemporary Art Center, an affiliate of The Museum of Modern Art. Listeners select frorm a a 24-hour stream in a variety of formats, podcasts, or on-demand archive of cultural programming. WPS1.org features talk radio-style discussions and interviews with artists, authors, musicians, actors, filmmakers, critics, curators, poets, educators, journalists, media experts, and other cultural leaders, innovators, and challengers. The station also carries a unique and important collection of music assembled by a team of music curators, ranging from live recordings of the widely acclaimed P.S.1 summer Warm Up series of DJ sets, to rare recordings and surveys of experimental and adventurous music. WPS1.org broadcasts historic recordings from university and private collections; selections from the audio archives of The Museum of Modern Art; and live remote programs from festivals including Art Basel Miami Beach, The Armory Show, Performa, and the Venice Biennale. 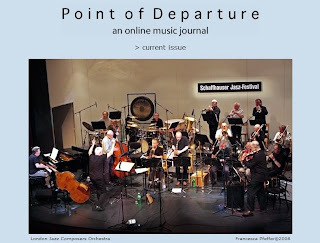 Point of Departure di agosto 2008 presenta un'intervista a Barry Guy, che ha di recente riportato in concerto la London Jazz Composers Orchestra dopo oltre dieci anni di inattività, e una a Jessica Pavone, nota ai più per il suo lavoro con Anthony Braxton, un estratto dal libro di George E. Lewis 'A Power Stronger Than Itself: The AACM and American Experimental Music' e diverse recensioni discografiche, tra cui alcuni bei titoli su Reel Recordings e Cuneiform. E' di pochi giorni fa la notizia della scomparsa a Parigi di Daniel Caux, giornalista, critico, produttore radiofonico e discografico di grandissimo rilievo nell'opera di diffusione e conoscenza delle musiche d'arte e d'avanguardia del secolo scorso. Al suo nome e al suo operato sono associati tra l'altro la storica serie di concerti Nuits de la Fondation Maeght e le pubblicazioni dell'etichetta Shandar, che sul finire degli anni sessanta introdussero in Francia e in Europa free-jazz e minimalismo, facendo conoscere su disco e dal vivo le musiche di Albert Ayler, Sun Ra, Cecil Taylor, Harry Partch, Terry Riley, La Monte Young, Steve Reich, Charlemagne Palestine e Moondog.